Sunblaze was satisfied tasting blood in his jaws and jumped off of Featherheart sloppily. Slumping slightly, he looked around the clearing, a wicked smile on his face, his pupils small, cold looking slivers in his eyes as the white and blood mixed foam dripped from his mouth. Mintfur yelled at the top of her lungs, "NO ONE MOVE! HE'S ATTRACTED TO MOVEMENT!" She ran up behind him with a few poppy seeds in her mouth. She jumped on his back and began to wrestle with him, determined to calm him down. A feeling of fear and shakiness arouse in her. She wobbled slightly on her paws before casting a glance towards Featherheart. Unaware that Sunblaze might've noticed her, she took a paw step forward. It seemed like a whole tail-length to her, danger nearing with even inch. Sunblaze hisses and shakes but he simply can't shake Mintscar off of him. "GRRR, YOU DON'T KNOW WHAT YOU'RE DOING!" He screamed in a raspy voice. Mintscar flexed her muscles and soon rolled, pinning Sunblaze down. "Oh yes I do!" She shoves three poppy seeds in his mouth and holds him down on the shoulders with her paws. She groans and shouts as he tries to squirm out of her grip. Now that he has 'Foaming mouth disease' his strength has been increased times 2. Poppy seeds won't hold him down forever. Sunblaze growls and thrashes around strongly. He is almost out of Mintfur's grip! "All right Sunblaze. You leave me no choice!!!!" Mintfur slaps Sunblaze with the back of her paw as hard as she could, so hard it made a sharp sound. Sunblaze's moving immediately stops and his limbs fall quickly. He lays on the ground, knocked out. Mintfur looks up at everybody. Featherheart was lying on the ground blinking. "Er, I think I'm bleeding a bit." She laughs nervously and passes out from seeing her own blood. 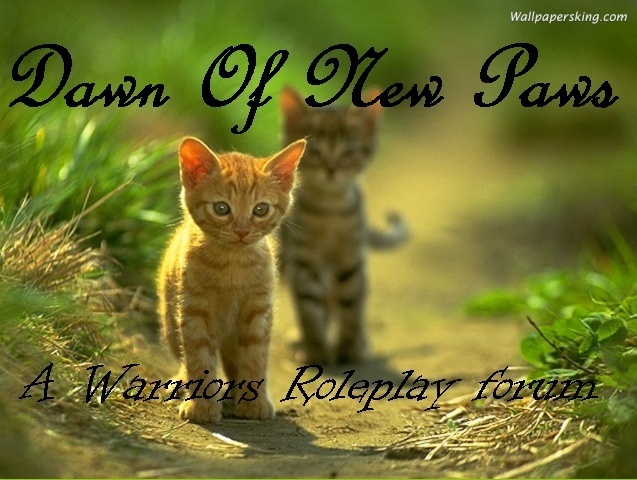 Mintscar dragged Sunblaze into the medicine cat den then ran back out to Featherheart. She took her by the scruff and dragged her in slightly away from Sunblaze. She got lavender ready for them both. while she patched up Featherheart's wounds. Featherheart's tail twitched slightly as Mintscar patched her up. Mintscar finished wrapping Featherheart's wounds then washed her bloody paws in a poodle. She padded back in with a slightly worried expression. "Do you feel anything? Like your heart beating faster or a sort of adrenaline rush?" She knew there was no cure for "Foaming mouth disease" which made her upset. Featherheart got up slowly and rubbed her nose with her paw. "I don't know... Slightly..Why?" She asked and sat back down.